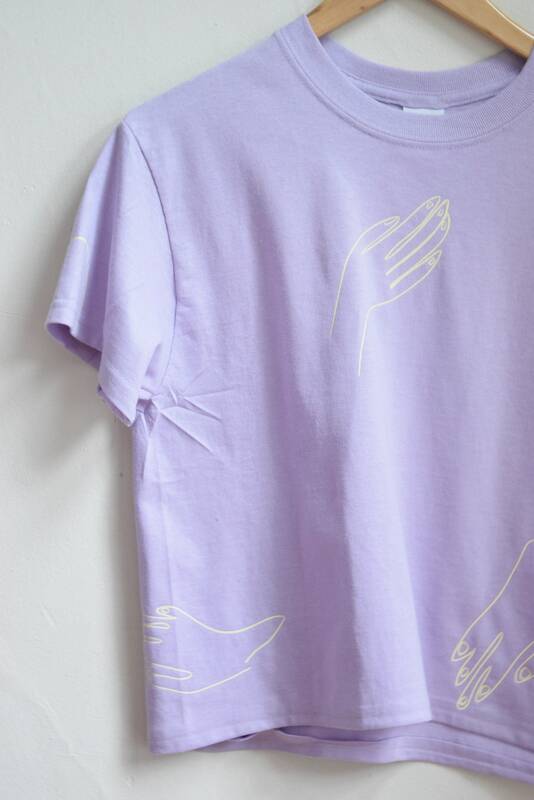 Medium weight 100% cotton unisex tee in lavender with palm print in cream. Sizing runs closer to mens. 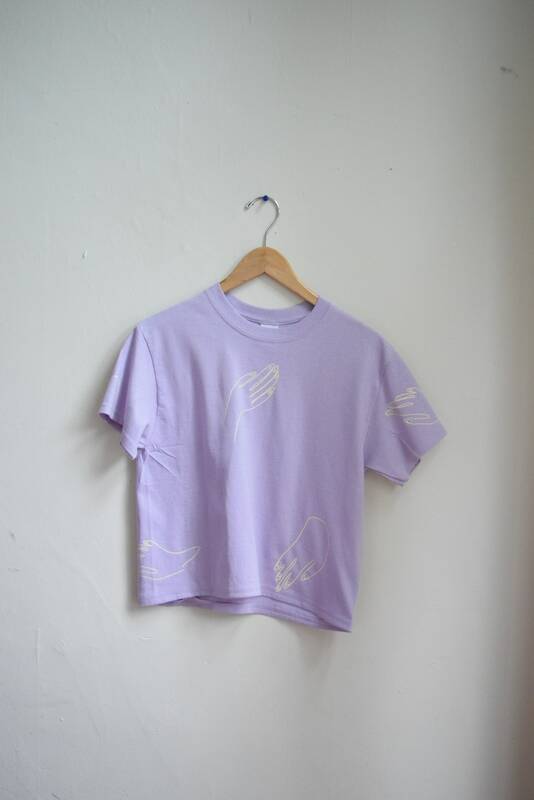 Womans sizing will run a bit larger, and mens sizing will run a bit smaller, we suggest to always compare the given measurements to a tee you love the fit off to make sure what size will be right for you prior to ordering. shoulder to shoulder: 16.5" // armpit to armpit 17.5" // back of neck to bottom hem 27.5" // front of neck to bottom hem 21"